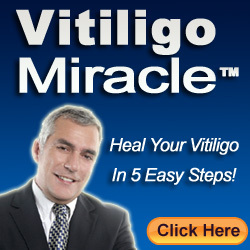 Home Vitiligo Is Vitiligo Curable? 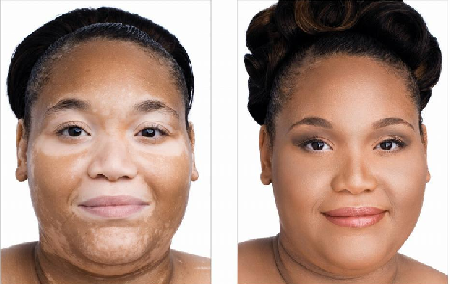 Can You Cure Vitiligo By Treatment? Vitiligo is the effect of depigmentation and it may cause embarrassment to the person suffering from it because the affected area turns noticeably white. This color change can be disturbing for the patient and can significantly affect his confidence. It is thus sometimes classified not as a mere skin disorder but also a social disorder. This disorder affects less than 1% of all people, but there is no pattern as to which demographic it affects most, aside from the fact that it most commonly occurs in people above the age of 40. There is also no restriction by climate for this skin disease. The white patches keep on growing because of the reduction in the pigment melanin. Hence, most of the vitiligo treatments are for preventing further damage by increasing melanin pigmentation. In simple words, there is no cure for vitiligo; there are just some preventive measures available. Herbal treatment is complicated and it takes experts in the field to recommend the herbs for treating this disorder. The chances are likewise high that the level of damage while getting treatment is increased. Only the right herbs that are proven to be effective in increasing melanin production by triggering melanocytes are to be administered. There are also some herbs that increase the efficiency of the nerves and the immune system. Using such herbs can be effective if the condition is severe. Homeopathic treatments have also been in use for many years. The ability to provide relief against most mental as well as physical disorders with minimal side effects is the reason homeopathic treatment methods are fast gaining popularity. When availing of homeopathic treatment for vitiligo, the entire condition of the body is noted and the most appropriate prescriptions are made. A few examples of substances used for homeopathy of vitiligo are: sulfur C30, taken twice a week for four weeks; and sepia CH5 or C12, taken every other day. Others are Arsenic album, Baryta carb and Baryta mur, graphites, Lycopodium, and Pulsitilla. Doctors would often remark that there is no proper cure for vitiligo. There are many surgical methods, however, that could minimize vitiligo’s social effects. One such method apart from natural methods is surgery. The available surgical methods for treating vitiligo are medical tattooing, blister grafting, and autologous skin grafting. Each method is unique and is performed depending on the location of the white patches and severity of the disorder. Medical tattooing is performed mostly on the areas close to the lips. There is no guarantee that the tattoo to be made would match the patient’s skin. For the other methods, a healthy pigmented region is taken and transferred to the affected areas. The surgical methods are not very dependable as there is no guarantee for treatment of the condition but they can actually reduce the awkward appearance of the white spots. Medications for vitiligo are available in many types. There are some common light therapies and photochemotherapy that can act directly on the affected layer of the skin. Most of the treatments for skin disorders are based on a definite light source. Corticosteroids, immunomodulators, and narrowband UVB are other treatments available for its treatment. Each treatment method is selected based on the degree of the disorder. Depigmentation is a unique method in which the other areas that are unaffected are treated to make them lighter, to match the affected areas. This method somehow reduces the contrasting skin tones and improves the appearance of the skin.